What do you do if you wanted a Lamborghini Sesto Elemento but couldn't get one? You make one, of course. Out of a Volvo? Sure, because no one's going to be able to tell the difference. 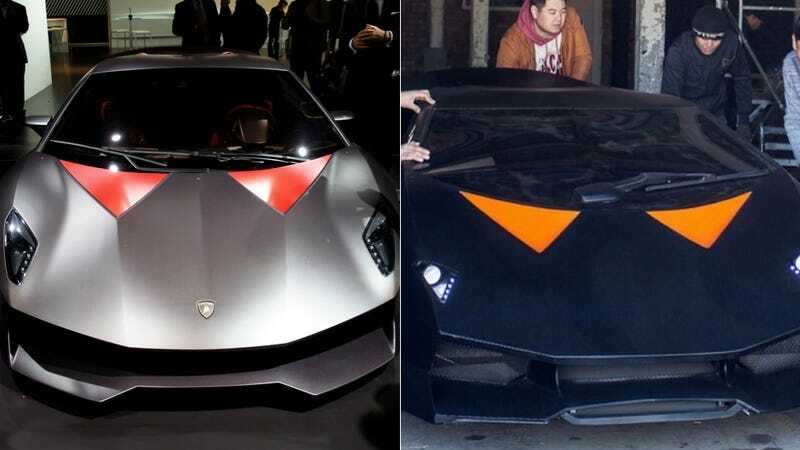 At least that's what a group of men from Bishkek in Kyrgyzstan thought when they decided to copy what this Lambo looked like from a bunch of drawings, according to English Russia. For roughly $15,000, they made this copy Lambo out of a Volvo 740 chassis and pieces of BMW X5. They didn't use carbon fiber like on the real Sesto Elemento, but again, will you really notice? You might because it doesn't actually run. But hey, Lamborghinis don't score highly for reliability either. Check out English Russia for more photos.